Palmyra, the ancient city that shines like a diamond in the Syrian desert. Palmyra is a beautiful place where one can see the remains of a thousand years old city, that had its own golden age during the third century A.D. Located in the Syrian desert with the availability of water from the Efqa Spring and surrounded by an oasis, Palmyra was a trading city that earned its money from the caravan trade. The rich citizens of Palmyra showed their wealth by commissioning the construction of majestic buildings, temples, monuments and statues. Unfortunately, the city of Palmyra is now inaccessible due to the various conflicts happening in the Middle East. In the summer of 2015, forces of the Islamic State seized Palmyra. In March 2016, the city was recaptured by the Syrian Army. It was feared that during the occupation of the ISIS forces the treasures of Palmyra would be destroyed or looted. With the recapturing of the city by the Syrian Army, it is now time to assess what is left of the once beautiful city of Palmyra. It will take some time before one can visit Palmyra again. 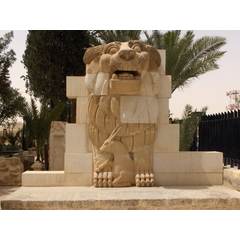 With this tour we give you the opportunity to visit Palmyra and its treasures from your own home. Besides that, we hope that with this tour we raise an awareness for the great danger the heritage of Palmyra was in. And with this tour we would like to help safeguard Palmyra's heritage in a digital way. We invite you to know the story of Palmyra. This tour is realized with the help of various partners. We would like to thank Dr. Lidewijde de Jong from the University of Groningen for supervising the project and helping us with her expertise and network. 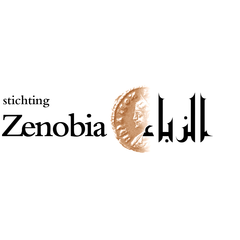 We would like to further thank all the other partners that helped us with the project: Stichting Zenobia, Allard-Pierson Museum, Rijksmuseum voor Oudheden, het Nederlands Instituut voor het Nabije Oosten and the Netherlands National Commission for UNESCO. Special thanks to Professor Jørgen Christian Meyer of the University of Bergen and Roberto Piperno for allowing us to use their superb images.